"A thriller that is a surprise 'must-see' for parents of teens"
In this modern era, the evidence of the impact of technology surrounds us with the ever increasing use of smartphones and the internet. This is a topic that causes many in society to speak out against the influence these devices have on our culture, but for every argument against these technological advances, there is proof that they add value to our lives. 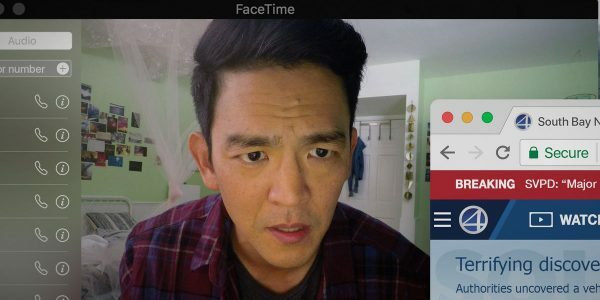 To see a film like Searching being released, the expectation may be to experience a message of the evils people suffer online, but writer/director Aneesh Chaganty has managed to deliver a unique and balanced approach and even profound aspect to this timely discussion. David Kim (John Cho)has been trying to keep his life together for the sake of his 16-year-old daughter, Margot (Michelle La) since the death of his wife and her mother. The Kims were a close-knit family, but as they travelled through Pam Kim’s (Sara Sohn) cancer journey together, the father and daughter seem to drift apart. The difficulties in their relationship become even more apparent one night when Margot does not come home after her high school study group. Once David works through all of his known contacts and Margot’s friends, he begins to look for clues to her disappearance in one of the most obvious places in today’s society, on her laptop. Eventually, he contacts the San Jose Police Department for assistance and with Detective Vick (Debra Messing), he begins to delve into the online world of his troubled teen. As he begins to reintroduce himself and learn more about his missing child through Google and social media, he discovers that there is more to this story than the typical missing person’s report. Few films cause a degree of unexpected terror for parents than a story of apparent abduction. The premise seems pretty straightforward and the subject matter may keep people away, but three elements may make this a worthwhile endeavour for parents. The first component is the historical aspect of this film which is similar to the groundbreaking impact of Crazy Rich Asians, this is the first Hollywood thriller with an Asian actor in the lead role. 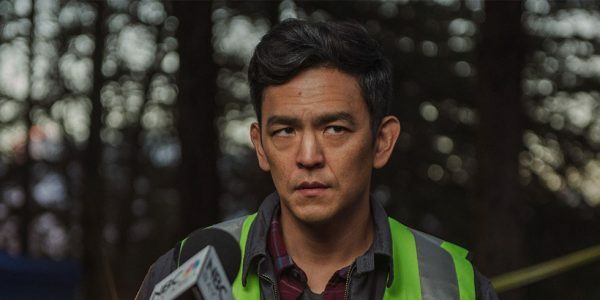 John Cho (Star Trek: Beyond) takes full advantage of this opportunity by delivering an intense and convincing portrayal of a father who will do all he can to find his daughter. Regardless of his heritage, this seasoned actor proves he is worthy of carrying a big budget production and conveying the extremes of emotion that would be involved with this type of situation. The historical aspect of this film may not drive audiences to cinemas, but it is worth mentioning before going into the cinematic arguments that may provide a more significant motivation. The second and more intriguing aspect is the creative film production: the direction and utilization of exclusive footage from the vantage point of the computer screen. This style has been used before, but director Aneesh Chaganty manages to tell a story that draws the audience into each step as if they are actually clicking on each new segment. This immersive technique allows for a significant emotional impact that will draw viewers into the story line in a subtle, but meaningful manner. From the UP! inspired beginning of each component of the investigation, this is a fresh perspective that provides an immersive aspect that will draw people into the drama. If these first two elements are not enough to motivate someone to purchase a ticket, the final observation should be the catalyst for parents to watch this film with their teens. Instead of scaring people with the influence of technology on the lives of today’s children, the message proves that the most critical force in the lives of this generation is loving and involved parents. The internet can involve different terrifying elements for parents, but it can also be an essential aspect of solving today’s problems. Searching has its plot issues and is not a perfect film, but the overall quality production contains an important message for families around the world.